Search today's newest Sage condos for sale and other real estate in Downtown St. Petersburg. The Sage is an elegant upscale condominium complex in Downtown St. Petersburg. With outstanding amenities and unparalleled luxury, The Sage provides its residents with lovely and comfortable homes to return to after a day of work or play in downtown St. Petersburg. To request more information about Sage properties for sale in Downtown St. Pete or to schedule a private condominium showing, contact your Sage real estate experts today. Read more about Sage condos. Looking to purchase a condo in Sage? Call DWELL Real Estate, your local real estate team at (727)485-0144. Your neighborhood real estate team will guide you through the St. Petersburg Sage housing market. It's easy to see why The Sage is such a popular option for people looking to live in downtown St. Petersburg. An ideal location, comfortable homes, and stellar amenities put it at the top of many people's lists. According to walkscore.com, The Sage condos have a walk score of 89 making it "very walkable." It also has a bike score of 91, which puts it in the category of "biker's paradise." Downtown St. Petersburg offers a wide array of ways to spend your day. Residents of The Sage are within walking distance of several restaurants and shopping venues. Entertainment options also dot the entire downtown landscape. The Dali and Chihuly Museums offer some cultural education and an air-conditioned break from the Florida heat. The Sage is also within walking distance of Williams Park with 4.3 acres of land, including a wilderness area and a stage where many concerts take place. Historic Pioneer Park showcases a location on the waterfront and scenic views. Take a ride down popular Beach Drive and shop til you drop at the many stores and boutiques. Known for "Affordable Urban Luxury," The Sage offers amenities sure to make you want to start packing your bags. The fifth floor of the building houses a club room perfect for a party, shower, or just hanging out with friends and family. The heated pool is inviting with its warm waters and views of downtown. You're sure to add a pool party to your calendar when you see the outdoor grilling area. The fitness center is open 24 hours a day and is stocked with high quality Precor exercise equipment and a full selection of free weights. 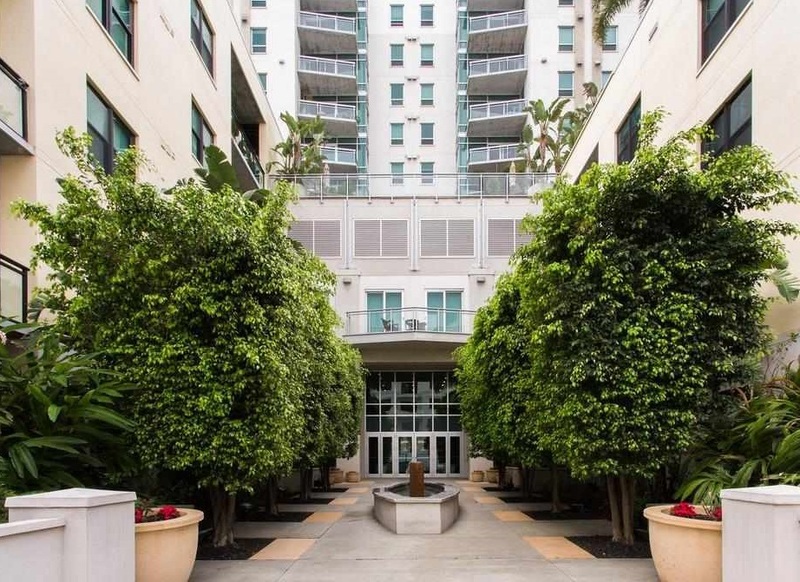 The covered parking, onsite dry cleaning valet, and doorman provide all the service residents could need. Even your pets will love The Sage. The pet friendly community is a favorite among residents of the four-legged variety who have also come to expect a certain level of luxury. Thinking of buying or selling a condo in Sage? Let our local Downtown St. Petersburg real estate agents help guide you through the purchase of your next property or expertly negotiate the sale of your current Sage condominium. As local Sage real estate agents, we're experts on the market dynamics unique to the Sage real estate market. We'll get to work for you today! Contact DWELL Real Estate to learn more about buyer or seller representation. Planning to sell your Sage condo? Contact us to learn more about the possible resale value of your Sage condominium!